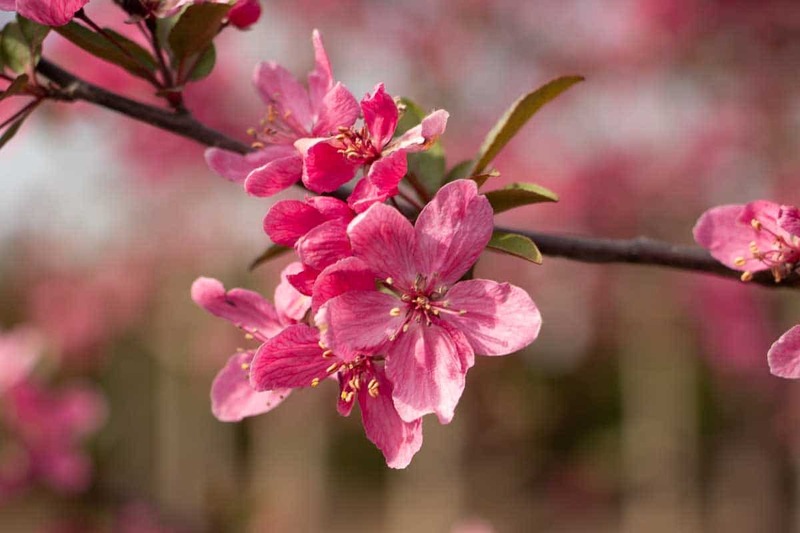 Crabapple Prairie Fire - Tree Top Nursery & Landscape Inc. This crabapple has excellent purple leaf color that turns dark reddish-green in the summer, Its red buds open deep pink to purple. The flowers last longer than many crab apples. It’s dark red fruit is small and persists through the fall adding winter interest. It becomes rounded with age and grows to 20 feet tall and wide. It works well as an accent or small front yard tree and works well planted in rows. It has very good disease resistance and prefers full sun and moist, well-drained soils, but will adapt to a wide variety. It has some drought tolerance once established.